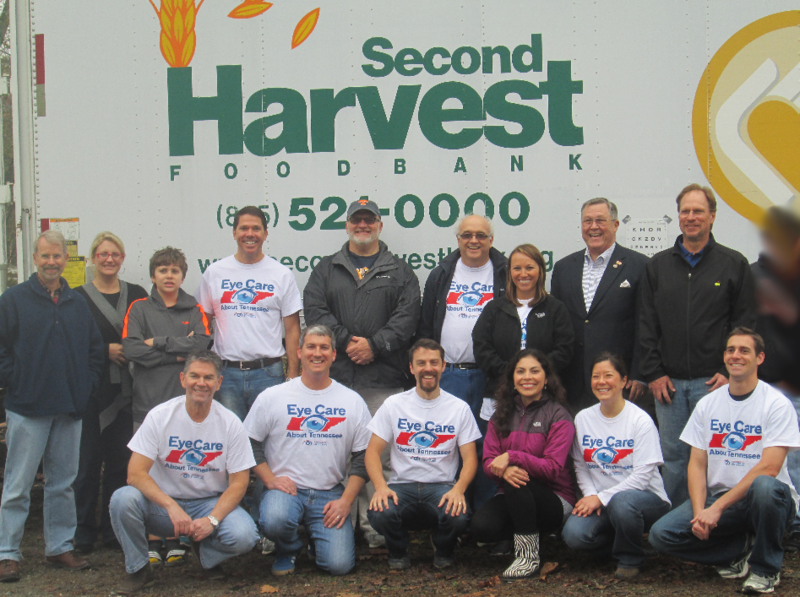 The East Tennessee Society of Optometric Physicians (ETSOP) sponsored a Second Harvest Food Drive at Valley View United Methodist Church on Saturday, November 16th. Sponsoring the event requires a monetary donation and participation to help distribute food. Dr. Elliott (front row-second from left) and Dr. Connell (front row-far right) participated in the event and look forward to helping in the future.